I just returned from a nice First Friday night out on Vashon. 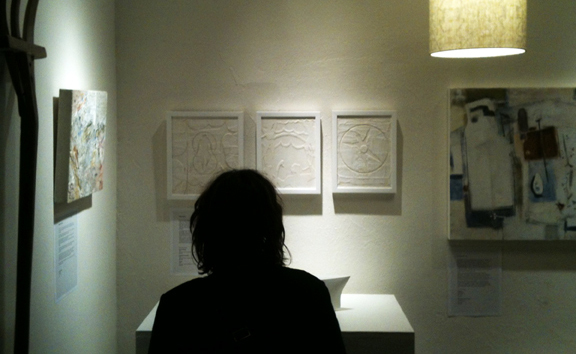 Bergamot Studio's themed show is White on White this month and I was delighted to have three mixed media collages included in the exhibit. Above and at center are "The Challenge," "Threshold Guardians" and "Center." Each represents an aspect of the Hero's Journey.